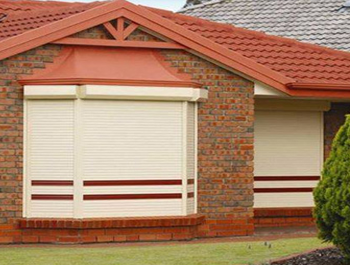 What Materials are Used to Make Roller Shutters? Bottom lath: Bottom lath are made from steel and aluminum. Rubber tubes are usually added to reduce drought. Track rail: The rails are made of steel and used to keep the shutter curtain intact. Sometimes, rubbing strips are added to make the track more effective. Shutter springs: There are two types of shutter springs: flat and torsion spring. These springs are created by placing hard steel strips in coils. Shutter box: These projections are made from steel and aluminum and their main use is to safeguard the assembly of the screen. Roller tube: This tube is critical in the operation of closing screens. The tube is made of strong materials such as aluminum or steel and is usually supported on both ends by plates. Lath: This is an aluminum or steel metal bar consisting of a catch and lever. The main function of the metal bar is to fasten the shutter. The lath can either be single or multiwall. The lath has to be in good condition to ensure maximum security of the building where it’s installed. Before you buy window shutters, you should have an idea of what you would like to accomplish with them. For example, do you want to protect your windows from external weather or simply improve the aesthetics of your home? Knowing what you would like to accomplish will help you determine the right shutters to buy. The above is an overview of the materials used to make roller shutters.